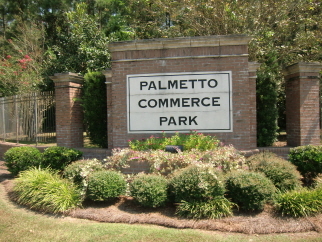 Acres available on the Ashley Phosphate side of Palmetto Commerce Parkway. Accessing from Spartan Ln, the parcels are located throughout the park. The parkway features a four lane parkway with medial, features features decelaration lanes. Parkway officially opens early to mid 2011. Parcels are available in all sizes, specific to your needs. Interior Features Multiple parcels available. Enormous road frontage, curbed on corner of intersection. Lampoles in median of four lane road, with deaccelration lanes on both sides of intersection. Zoned light industrial, potential for general commercial uses: industrial, automotive, retail, shopping, corporate headquarters, business park. Direct parkway frontage.